All stations south of Braddock Road are closed this weekend. The weekend shutdown foreshadows a three-month-shutdown of an even larger stretch of the Blue and Yellow Lines this summer. 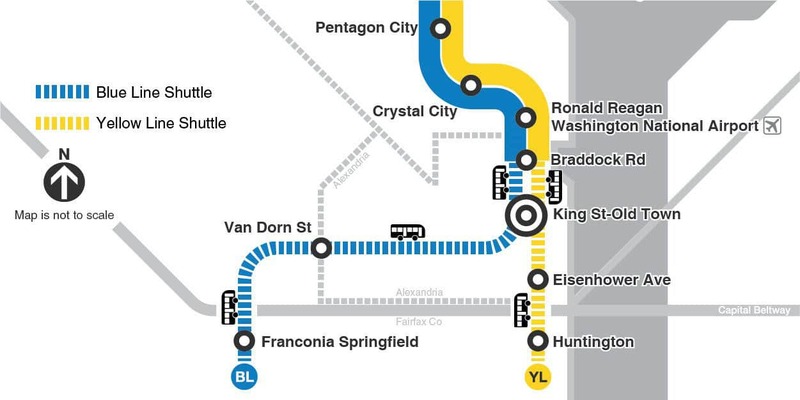 WASHINGTON — All stations south of Braddock Road are closed this weekend on the Blue and Yellow Lines. Franconia-Springfield, Van Dorn Street, Huntington, Eisenhower Avenue and King Street stations are served by shuttle buses only Saturday and Sunday due to track work. In areas where Blue and Yellow Line trains are running, those trains are scheduled every 20 minutes each. Yellow Line trains are also cut back to run only to Mt. Vernon Square in the District rather than to Fort Totten. Separate single-tracking near Stadium-Armory also slows the Blue Line, and impacts Orange and Silver Line service. Orange Line trains are scheduled every 20 minutes this weekend. Silver Line trains are also every 20 minutes, but will run to New Carrollton in Maryland rather than Largo Town Center. Single-tracking is also scheduled on the Red Line between Van Ness and Friendship Heights. Red Line trains are scheduled every 18 minutes, with additional trains during the day between Farragut North and Silver Spring. This weekend’s Blue and Yellow Line shutdown foreshadows the three-month-long shutdown of an even larger stretch of the Blue and Yellow Lines this summer. There will be no trains south of Reagan National Airport from May 25 through Sept. 2. Metro also tentatively plans to shut down that entire stretch south of Reagan National Airport the weekend of March 2-3. 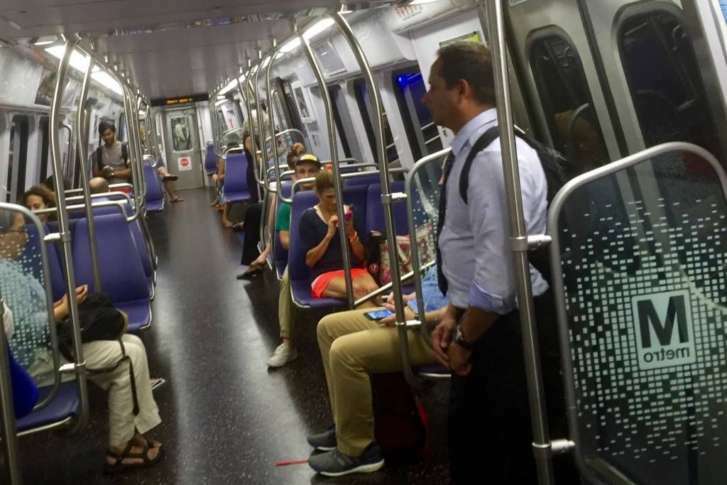 In the more immediate future, Metro plans single-tracking on several lines next weekend, followed by a Red Line shutdown downtown the following weekend Feb. 9 and 10.